Fast becoming a recognisable voice amongst the masses Oceano are rising up through the ranks in the world of Deathcore. In a genre that many could have thought to have been dead and buried, with the emergence of the likes of Thy Art Is Murder and Oceano in recent years, its arguable that the genre could well be in an incredibly fit state. 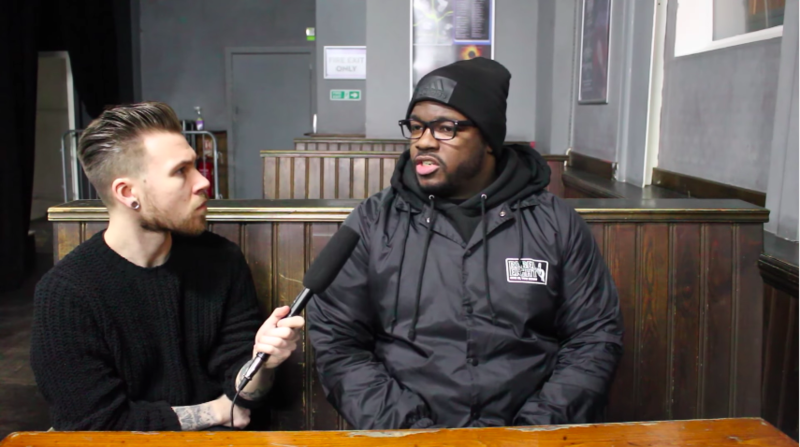 Sitting down with Oceano vocalist Adam Warren, I asked him all about the genre. When asked if he thinks he would still be here some ten years since the band had begun the singer replies with a rather sheepish “no”. Warren, a polar opposite to the bravado that he personifies on stage, off stage is a sweet and humble man that simply loves Death Metal. Having released their latest record Revelation back in 2017 the band are campaigning the world over to spread the Oceano sound and tonight the group have hit the UK’s capital in London. Drawing comparisons with religion and higher being, Revelation is a record that explores many different avenues that we as humans can draw from, watch the full video interview with Adam and make sure to subscribe to my YouTube channel for more interviews! Thanks for taking the time to chat Adam, Oceano’s brand new album is out now.